What is Hatha yoga and what is Ashtanga? Does Vinyasa just mean ‘flow’? 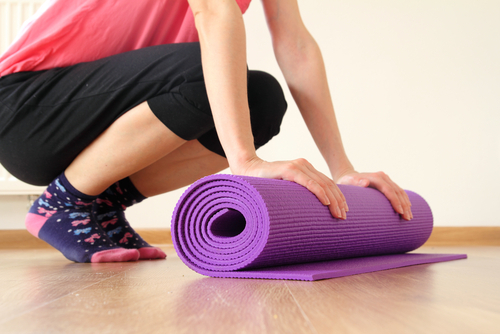 Does Restorative Yoga mean you are trying to restore something? Why does Kundalini yoga seem so different And is Bikram yoga a real kind of yoga or does it just mean yoga poses in a hot room? Then there’s Iyengar, ‘Power Yoga’ and even Core Power Yoga. So where to begin? We had to pick a few styles of yoga that seemed most aligned with our philosophy about yoga and basically run with those. After all, we can’t be all things to all yogis, right? So our teachers developed their classes around the styles of yoga that have had the most transformative effects on them. That way, we can offer these styles with true conviction that they provide a very positive experience. Each morning we offer vinyasa, or hatha flow classes between 8 am and about 1 pm. Some days we have specialty styles of yoga like ‘Bro’ga for Guys on Tuesdays, or Yoga for Runners om Thursday evenings (7 pm). Saturdays we offer a Blissful Morning Flow at 9 am and then an advanced class at 10:30 am. At the same time, we know you might want to learn everything you can about yoga. And we certainly would never want to get in the way of that. So we found this article which seems like the most comprehensive one for giving a quick description of most of the yoga styles practiced in North America. Read the article here. No matter what styles of yoga you want or we offer, there is one common theme with our classes and that is there is going to be a meditative aspect to the practice we teach. Will you be challenges with developing strong asanas? Absolutely. Will it be a rigorous athletic workout like Core Power Yoga…? Actually no. They do that pretty well. We are set up to give the yoga practitioner something different. The styles of yoga we have chosen to offer at Meditate provide opportunity to go deeper within and find a peaceful inner space. In our experience, not everyone but quite a few yoga lovers want this. If you want to sweat and shed a lot of pounds, well, there are so many gyms in Chicago for that. And how about eating a lot of Kale? If only has 33 calories per cup!